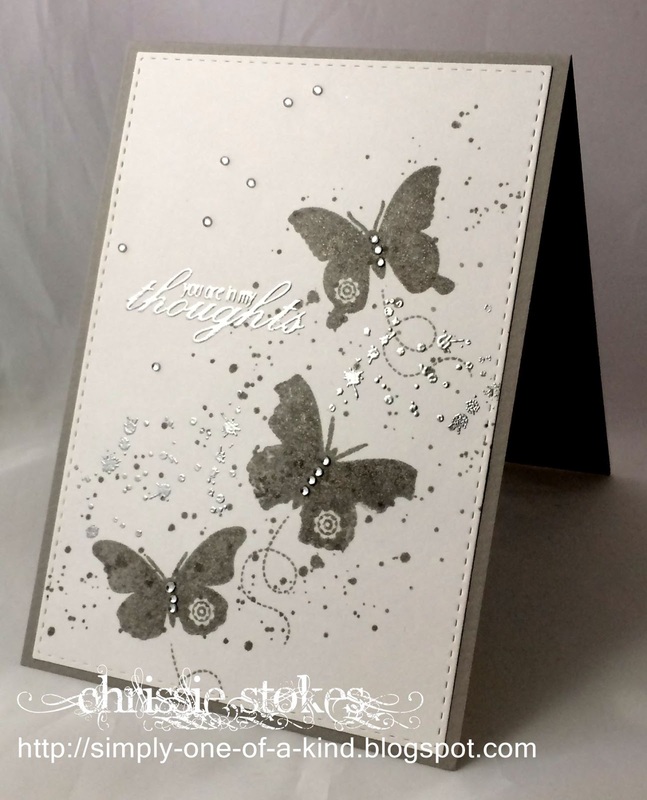 The Uniko butterflies are stamped in SU Smoky Slate ink with a little added splat stamping from SU and Paper Artsy, some embossed in silver. The sentiment is from HLS. I added a little Wink of Stella to the butterflies, but it doesn't show up on this picture, but looks quite pretty IRL. This is my last piece of grey cardstock, I don't know where I got it but would love to find some more! Gorgeous! Wonderful take on the sketch! Simply stunning card Chrissie...I love it! So beautiful Chrissie! Love the silver splatter!